My approach as a rabbi is tied to my vision of Judaism as a relational religion. Judaism is ever in conversation with itself, and we as Jews are encouraged to be in conversation with it, with one another and, as an extension, with the larger community. I endeavor to understand Judaism through the lens of intellectual curiosity, and I encourage my congregants, young and older, to do the same. To that end, I recognize that every interaction is an opportunity to listen, teach, inspire, and share, and to grow connections as well as an opportunity to enhance connection to Judaism, to community and to that which is sacred. 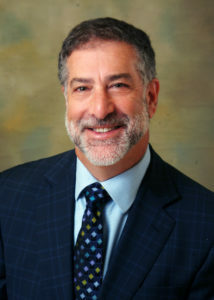 Temple Beth Or welcomed Rabbi Scott Looper to Montgomery in July of 2018. Prior to moving to Montgomery, Rabbi Looper served for 20 years as Rabbi at Or Shalom in Vernon Hills, IL, and before that, as Associate Rabbi at Am Shalom in Glencoe IL. Highlights of his previous posts include engaging in creative congregational outreach programs, and the introduction of worship services that encouraged active communal participation, conversation, and engagement. He initiated or collaborated with others for a variety of projects, including a new “Caring Committee,” a community-wide Interfaith project to address hunger, varied cultural events, and congregational trips to Israel. At his previous post, he also connected with the larger community in many ways, acting as an on-call chaplain for the Mundelein Police department, being a founding member of a grass-roots organization designed to identify and address needs of the community, and also served on a panel of religious and business leaders for the United Way of Lake County.